WebGuru has recently developed a site for Brainbay.in, an education services provider, offering programs and courses to help the personal and intellectual as well as academic and creative growth of students. Flash Intro– A fast loading Flash intro that acts as a two-way entry point to the site. 1) Through clicking on the images. 2) Through clicking on the ‘SKIP’ option. There is also static menu at the bottom of the page that acts as the 3rd entry point to the site. Social media integration– Facebook and Twitter links integration in the Home Page for quick access to profile pages of Brainbay. 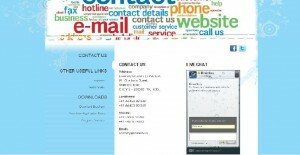 Click to Call– Top, right-hand corner of the Home Page, the Click to Call button opens in a new window on clicking and allows free calls to Brainbay. 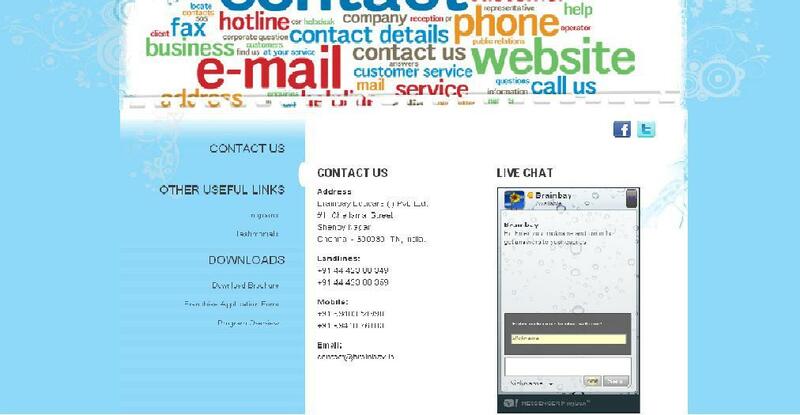 Live Chat– The Live Chat feature in the Contact Us page enables live chat with a Brainbay representative at all times.